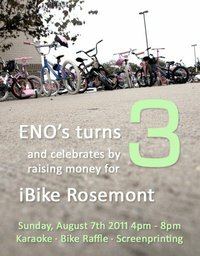 Join BFOC as we celebrate three years of Eno’s! 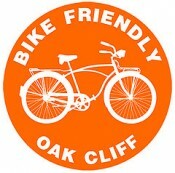 Bring a T-Shirt, Bag, Bloomers or any cloth and get a screen print of the BFOC or iBIKE ROSEMONT logo. Drink specials, karaoke, bike raffle and plenty of fun to keep the whole gang entertained. All the cheer goes to a good cause! We are building the first safe route to school in Dallas! Bike lanes to Rosemont.